Our materials are : metal, wood, plastics, upholstery, components and the driving force of craftsmanship and advanced technology. In the middle of Hostyn´s mountains more than a hundred years we produce the bent metal and mixed furniture. We develop our own products and branched the tradition of the Czech honorable manufactory founded by Robert Slezak in 1908. Kovonax is a modern prosperous company a century old tradition with a solid position in the market for metal furniture, metal surface finishing and metalworking operations. We are producing the metal furniture, especially chairs, swivel seats, armchairs, dining and coffee tables, hospital and nursing beds. Manufacturation of metal furniture was started in Bystřice pod Hostýnem in 1908. As one of the first manufacturers began Slezak in 1911 to provided the products with galvanic surface layer composed of copper, nickel and chromium. Since 1913 began production of metal chairs and brass furniture, especially beds, tables and chairs according to their own designs, in combination with a metal and wood. 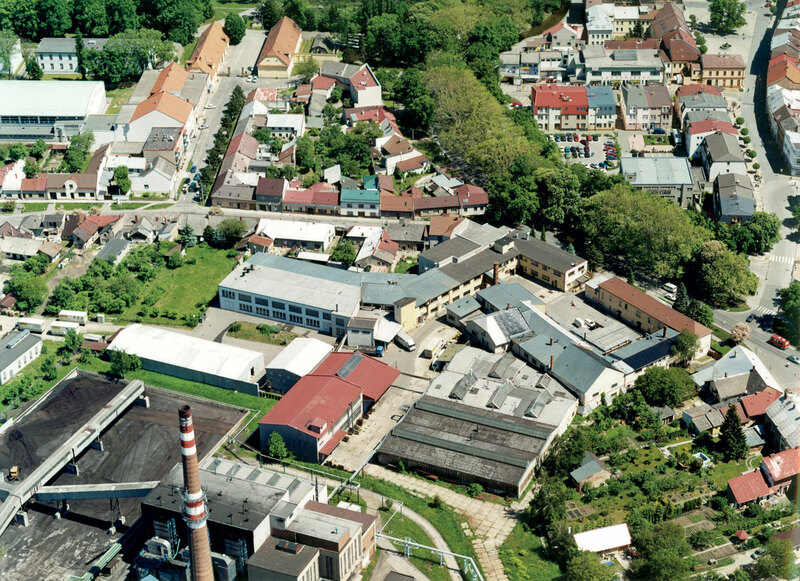 Original of Slezákovy Závody were in 1948 a part of the company Kovonax, since 1992 bears the name of Kovonax. We are the real producers of metal furniture. Kovonax is a traditional Czech company referring to the founder Robert Slezak, one of the oldest brands in the furniture in Europe. Our production is based on our own technology and production program. Kovonax range will appeal to customers with modern design and original products of Slezákovy Závody in retro design. Kovonax is a producer of primary processing of materials to final products. The advantage of all our products are : safety and practical design, reliability, quality, simple handling and easy maintenance. Thanks to maximum quality, we fully guarantee the 5 years of warranty for all our products. Specially designed for schools, hospitals, Hotels, private and public sector moreover, requires primarily the security and resilience of those products: desktop tables, chairs and benches have a surface resistant to abrasion and scratching, rounded edges for public spaces designed furniture with a ISO, CE certificates and certificate of non-flammability.